A small stone terrace and pergola project over looking the Hudson River in Rockland County. The stone on the columns match the stone veneer that we used on the house and retaining walls. 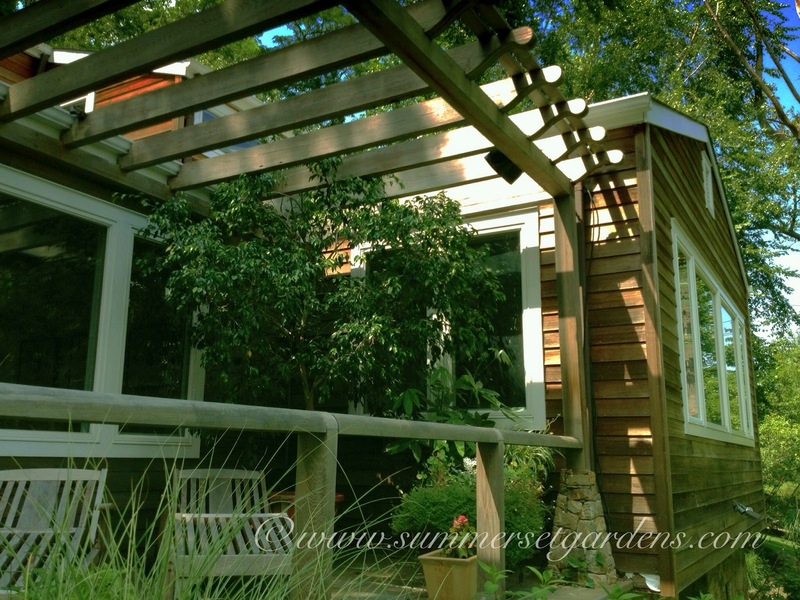 The pergola is constructed with cedar. Visually I did not want to make the beam too heavy looking so I had a stainless steel beam inserted into the beam to avoid any sag do to the span. A sound system and lighting is set up in the rafters of the pergola.